Christmas Day - Noel is a great and important occasion for Catholics around the world. 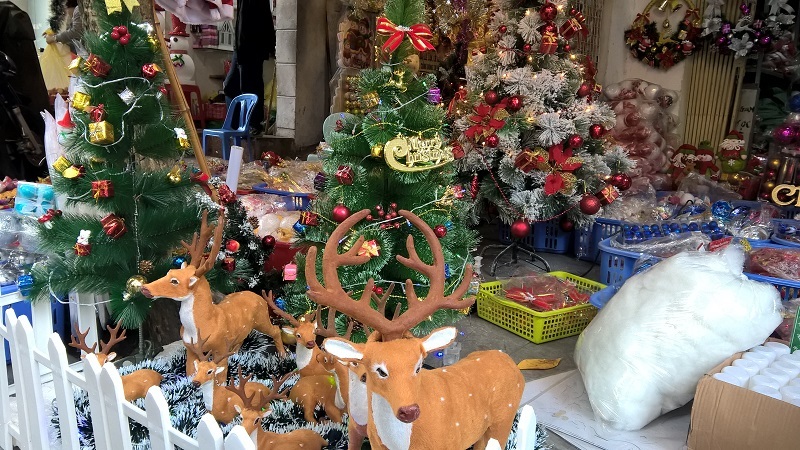 In Vietnam today, the number of Catholics is quite large, however, not only are the new Catholics prepared to welcome Christmas but almost Christmas atmosphere around the country. In the last days of December, in the noisiness of the days of coming to a new year. 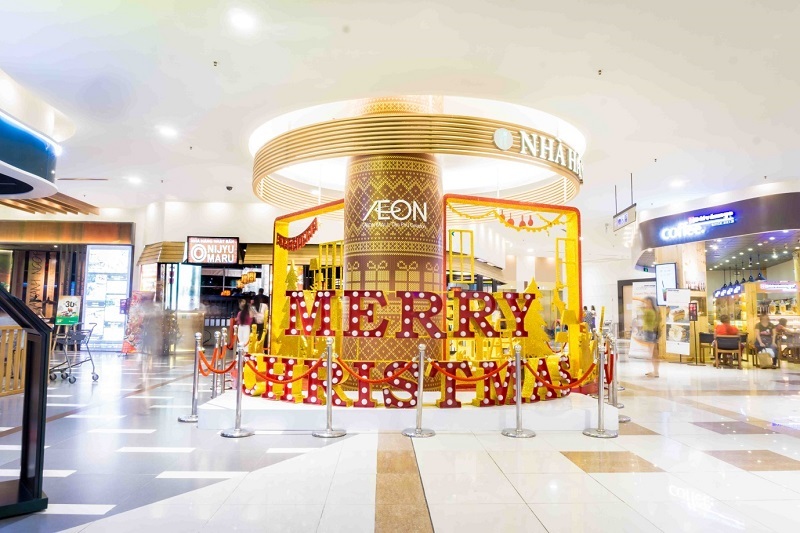 Vietnamese people are excited to go shopping together in shopping centers to prepare for Christmas and New Year 2018. At many big hotels in Hanoi, it seems like Christmas has already been in the air. The Christmas songs are played continuously and the Christmas trees are decorated with sparkling and colourful lights. Since the very beginning of December, many hotels and travelling companies and even small families have started to get decorated with Christmas trees, gifts, and colourful lights. 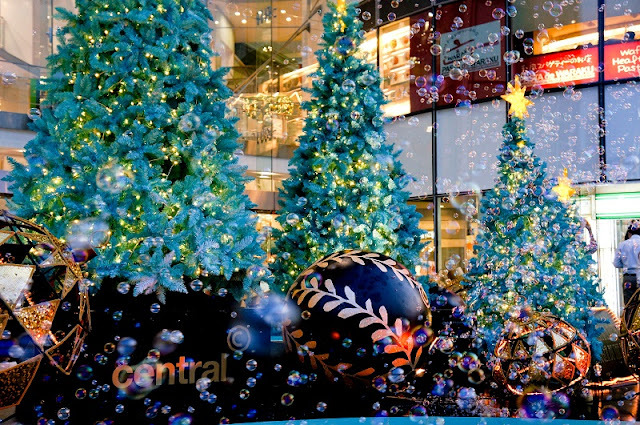 They also organise many entertainment activities for the customers to have a happy Christmas day with their families and friends. Together with a house made with traditional Christmas cakes like chocolate cake, ginger bread or Yule log... on Christmas's Eve, The Meliá Hanoi is going to organise a luxurious party with buffet and special Christmas show. On Christmas's Eve, El Patio Restaurant in Meliá promises to bring up interesting culinary experiences with a lot of special dishes... Mr. Manuel Ferriol, the managing director of Meliá Hanoi, said : "The highlights of the Christmas event this year are buffet with special dishes, singer Minh Quan and the appearance of Santa Claus." 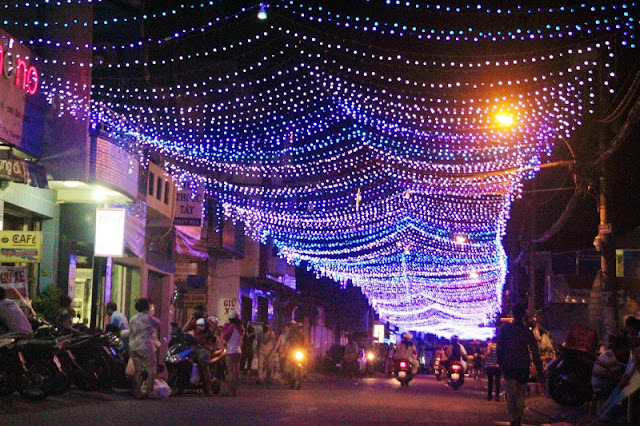 On Christmas holiday this year, besides the familiar cities with cold weather like Sapa, Da Lat, Buon Ma Thuot, you can enjoy Christmas and New Year with romantic or classic style in Hoi An, Phu Quoc Island, Da Nang ... Or experience the adventure in the middle of the ocean as in Ha Long Bay.